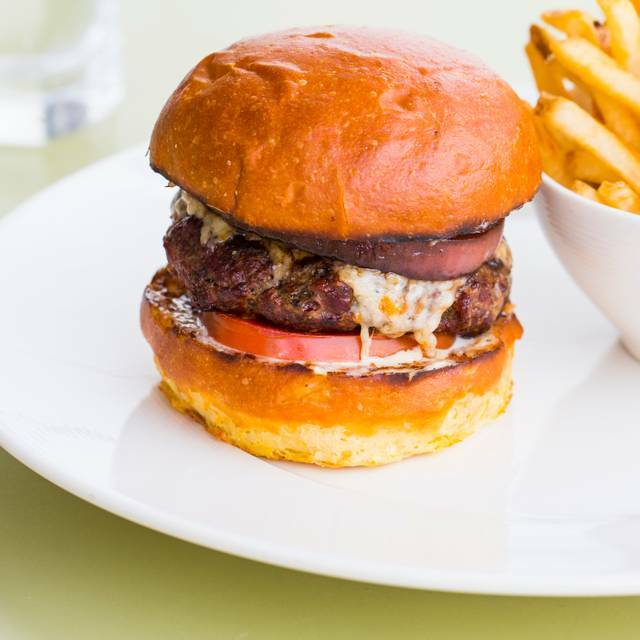 You must make reservations at least 5 minutes in advance of the time at Bar Verde – Nordstrom at the Grove. Our full-service restaurant and bar features the freshest local ingredients we can find. 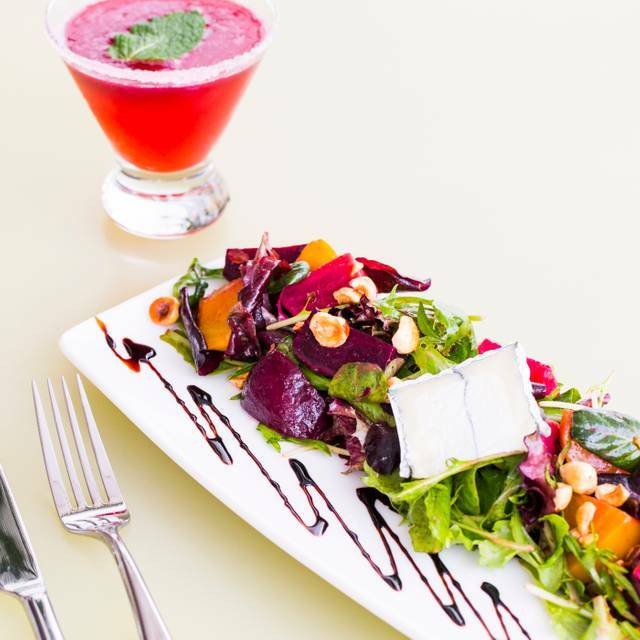 From starters and salads to entrées and desserts, the expertly crafted menu has a seasonal focus. The full bar offers wine, specialty cocktails and beer, along with a selection of small plates. Bar Verde is located on the 2nd floor overlooking the illustrious Grove at the historic Farmers Market in the heart of West Hollywood, California. 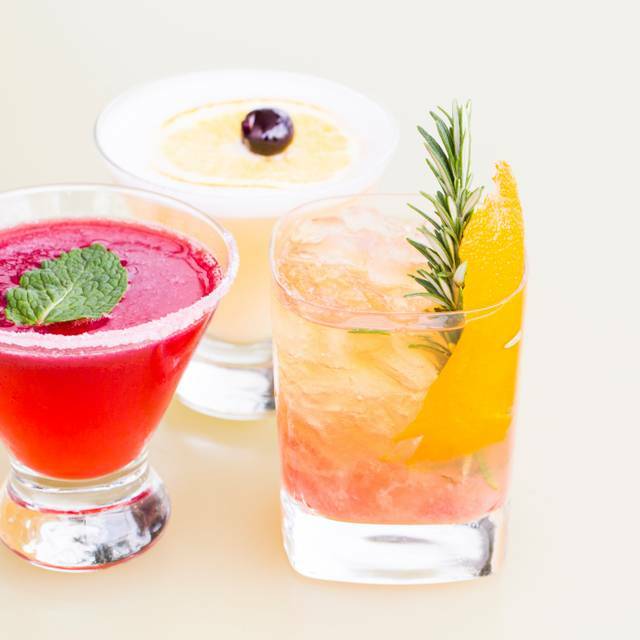 Sunset Hour is the time to be at Nordstrom’s Bar Verde. 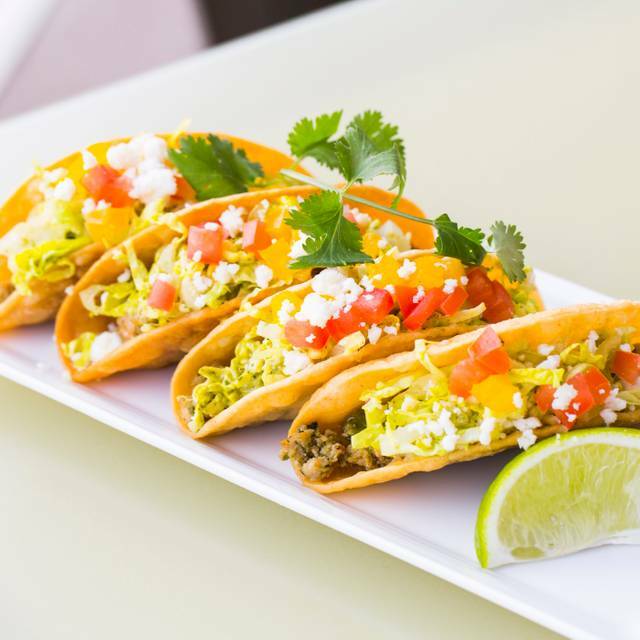 Held Monday through Friday from 4pm to 6:30pm, it’s the time to enjoy specialty appetizers priced at $5 along with $4 beers & $5 wines. Must-have small bites include Pimiento Cheese Dip served with Tuscan grilled bread and Tomato Braised Meatballs with chili infused tomato sauce. More ch-ch-ch-changes! Okay. Another new dish: Short Rib Grilled Cheese With Blackberry Jam was a hit with my carnivore friend. My cilantro Lime Shrimp Salad was beautifully composed, and the greens and vinaigrette were delicious, but the shrimp were overcooked. When I pointed it out, though, it was redone without hesitation. The Sea Salt Caramel Cheesecake (that used to be our "crack") has been replaced with a Bourbon Caramel Cheesecake -- almost as good :-) Service is always very good also. We remain fans. I'm almost afraid to write a review because it is such a lovely spot, I don't want it to get overrun. You're just an elevator ride above the Grove, but you feel transported. The views are lovely and the atmosphere is sophisticated and serene. It's a very relaxed setting that is just perfect for a comfortable dinner with friends, or a romantic place for two. Our waiter was fantastic. The food and service were excellent. I can't think of a single thing that could have been better. Fun spot to overlook the grove and have some yummy food. Experience was fine but I get an email from open table saying that Bar Verde said I was a no show. Frustrating that I have to prove that I was there. To make it easier I just won’t use Open Table or go to Bar Verde. Waste of time. Hidden gem in The Grove! Great service, food and views! Oh change can be so stressful, and they keep doing that to us with their menu after the addiction sets in. We do get over it, though. My lunch partner and I were delighted with the new dishes we tried this time: My carnivore friend raved about his Braised Beef Bourgignon; and I loved the Shrimp Chitarra! Then we both died over the must-have Caramel & Sea Salt Cheesecake that was, thankfully, still on the menu!! One of the best spots in central L A. Nice and quiet with a fun view of the Grove; excellent food, great desserts, attentive servers who let you talk as long as you want without making a fuss. The staff was on their game, but they couldn't help it that families with really loud and unhappy children were everywhere. That was the only disappointing part of our experience. The hostess was great our server was great and the food was very good. I definitely recommend the beef bourguignon, I literally kept making Mmmm noises while eating it. The burger was ok but the aioli was a great accompaniment. The chocolate cake was good, but the bread pudding was really good. Food and server were good, is usually! I like this Bar Verde compared to the one at the Americana and the Westfield Century City. And our server Robyn was awesome! They don’t let service dogs on patio anymore. Restaurant ambience is bad without the patio. Our service was terrible and the food was ok. We waited about close to an hour after ordering to receive our food and our waiter could care less. He was inattentive and unapologetic. His excuse was "It takes long to make the burgers." Really? When you order before several new guests get seated and receive your food after they do. Hmm. Will not be returning. Its our annual event for the holidays. Dinner above the lights at the Groove. Service is always great. 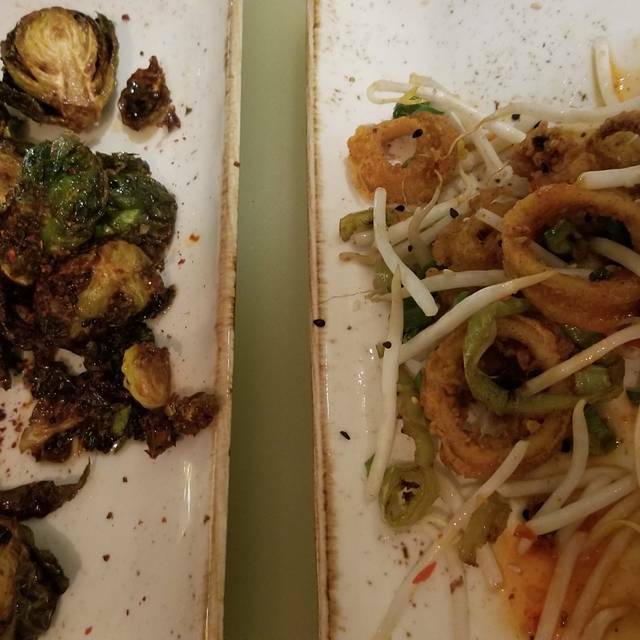 Fantastic food small plates, Brussels sprouts, pizza, borata, tacos....delicious and great view of the Christmas tree lite up. For what was not a crowded night, with plenty of empty tables ... the service was painfully slow. Just getting silverware took 15 minutes, forget drink refills, or catching the waiter for something additional like a dessert menu. The best part of the night was bonding with the other guest at tables around us regarding the shared experience of being ignored by the restaurant staff. Which truly is a shame because the night was beautiful and everyone was in a festive mood until the realization of being abandoned by the servers turned the night into group frustration. Nothing wrong with the service. I used to eat here all the time. Menu has changed and quality of food has gone down. Shame. Bar Verde at the Grove is a fun place to eat. They have a decent size menu and the service was excellent (from front desk to waiters to busboys). 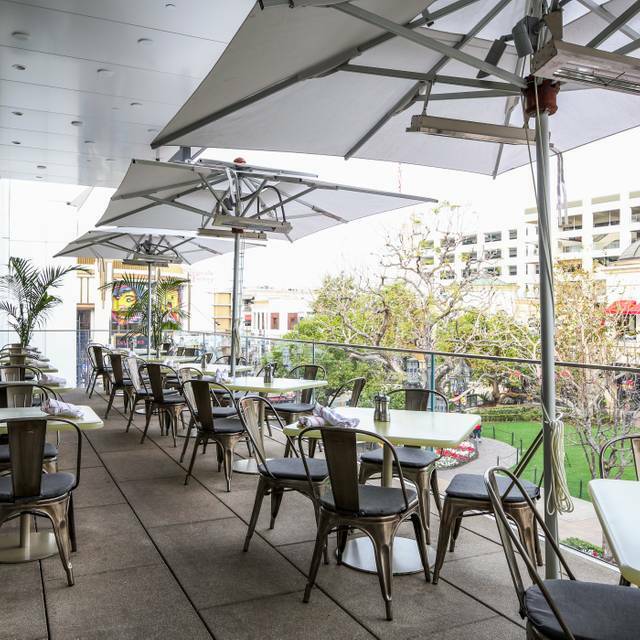 Nice indoor or outdoor seating and great location at the top of Nordstroms at the Grove. Bar Verde had very pretty views of the Christmas Tree and lights. We enjoyed happy hour drink specials and some delicious appetizers! I would definitely come back. Bar Verde always delivers! Great service, pasta and dessert. Always my go-to before or after a movie. One of our go to spots at the Grove. Consistent service and great food choices! Good menu, great people watching, excellent service and both kid/dog friendly! Very nice for a casual business lunch. Outside terrace very nice. Service was adequate- nothing bad but nothing more. It was a perfect spot to both dine and talk with a good friend who lives in Milan, and who comes into L. A. two or three times a year. It was so easy - food was tasty - but perhaps above all, it was QUIET. Great selections and chef suggestions for the season! Portion size is perfect! Always great! I eat every bite - ate every bite, rare for me. It’s our go-to place for a Friday night after work! Great food, excellent service and people-watching of the Grove passersby! the past and will certainly come again. Always a good place for drinks and small plates! Great quality and awesome service. Terrible food for the second time! I love to sit out on the balcony on a nice day. If sunny, place me under the umbrella please. Lol. We enjoyed our outing with cocktails and lunch to end our shopping at the grove. Our waiter was pleasant and knowledgeable. The young lady who ran our order didn’t really care to acknowledge us. Just a drop off the food and go. Even after saying thank you it was just like a blank stare. No big deal but we noticed she didn’t care too much for our table. Whatevs. =) Our waiter made up for it, he was great! I genuinely enjoy coming here though. Wonderful way to experience the grove without the crowds. Priced perfectly for a memorable family dinner. I've been to this particular restaurant many times, and the Grove branch never seems to let me down. The food is great, the ambience is classy, beautiful, yet comforting, and the staff are just so phenomenal. I have never met anyone who seemed rude at Bar Verde. Will definitely be back here for years to come! Everybody was super nice, we asked for a table in the balcony and got a great table... larger than our 3 person need, but still they gave it to us... so nice.